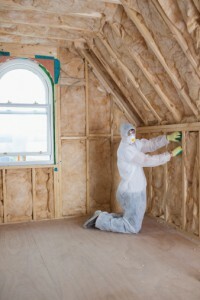 Enhancing your attic insulation can lower your utility bills and add value to your Mulberry, FL home. At Polk County Insulation, we have been helping homeowners in the Mulberry, Florida area lower their utility bills, thanks to improved attic insulation, for more than 20 years. We offer nothing but the best in service, workmanship and customer satisfaction. Damage to your insulation materials due to moisture, pests, or fire. Insulation that is old and/or has settled in the walls. Difficulty managing temperatures from room to room. Poor energy-efficiency or an overworked HVAC system. While these may also be indicators of other underlying concerns, your insulation is something you should try to keep in mind as you determine what will be best for your home.